For October, I finished an ornament I started in February. 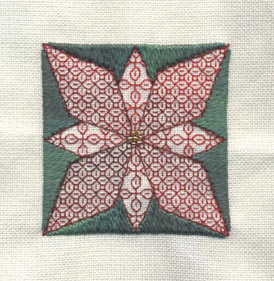 This the Blackwork poinsettia by Lynne Herzberg from the December 2006 issue of The Gift of Stitching. Since the DMC is variegated, I stitched with two loaded needles to complete the holbein stitches for the petals. 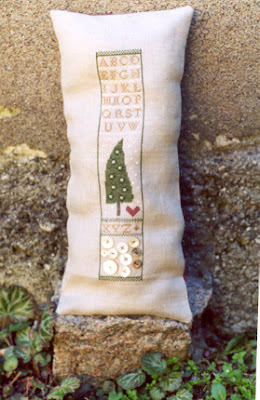 The fabric is 28 count Queen Anne's Lace jobelan. 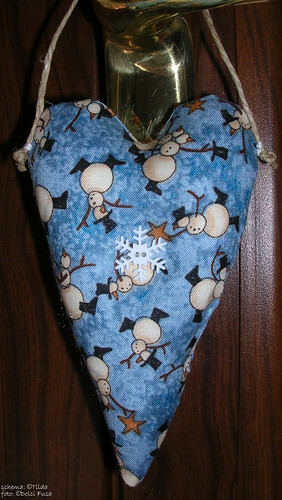 I am plotting my next ornament for the November SAL and planning a finishing frenzy in early December. I've really enjoyed participating in this blog. I think I've stitched roughly 14 ornaments this year thanks to this SAL! I did have great intentions, but unfortunately due to circumstances, I was only able to complete the one ornament. It was a great opportunity to start to use the mountain of 14 count Aida in my stash and all that leftover thread. 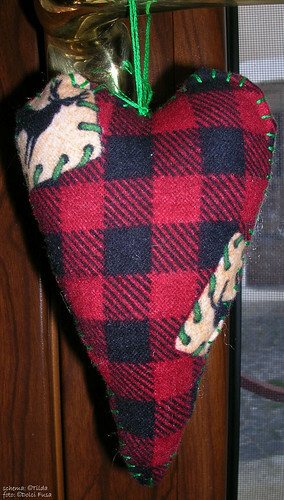 The design is from the Leisure Arts Best 250 Christmas Quickies and has been finished as a hanging ornament. Instead of stitching ornies this weekend I finished like a fiend. And I have all sorts of holes in my finger to show how often I forgot I was using a sewing needle rather than an xs needle. Silly me! I know this looks like a lot, but it's my standard format -- stitch all year then spend many late nights at the end finishing like a fool. Oh ive been so bad at stitching Christmas ornaments all year. This is only my second but i plan to make more in the next few months!! It's from The Prairie Schooler 12 Days of Christmas but instead of stitching this as one big piece im making 12 little ornaments. I just need to buy some ribbon so that i can finish it as an ornament, i'll hopefully do that tomorrow. On 32 ct linen with Weeks threads and vintage little buttons. It was funny to stitch it. Thanks for all the inspiration everyone! 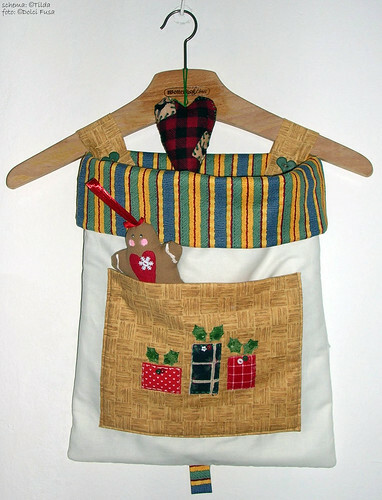 All the projects are from the book "Crafting Christmas Gifts" by Tone Finnanger.